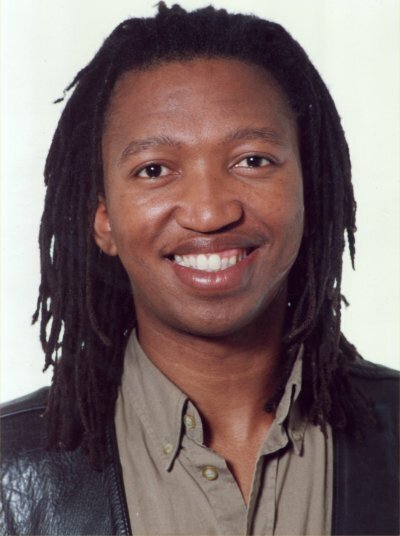 Vuyo Raymond Matinyana died on the 14th of November 2001. Many knew him by his stage name Miss Thandi. He was the founder and leader of the Afro Vibes Band, founder and chairperson of the Afro Vibes Foundation and initiator and organizer of the yearly Afro Vibes Festival. Raymond spent his youth in South Africa living in poverty and oppressed by apartheid, but with his perseverance, persuasiveness and artistic talent he managed to leave South Africa and build up an artistic career. He found it important to highlight the positive aspects of his country and he wanted to help build a just South Africa. Here follows a personal account of the months surrounding the death of Raymond, written by his friend Jan Blom. Raymond complained of stomach problems about six weeks before his death. When the problem didn't go away he decided to go to the doctor. A blood test indicated that he had Hepatitis-B, the symptoms of which are tiredness and nausea. Raymond slept a lot, and was more or less able to carry on with his work. He was busy with the mixing of recordings for his CD and visited the Womex - an international music fair in Rotterdam - many times to promote his band and CD. There was nothing to suggest the beginning of the end and we were positive about how favourably things were beginning to develop. The band was getting more and better assignments. The recording of the CD went well and the Foundation was beginning to function more and more professionally. Raymond said: "It looks as though our dreams are finally coming true." Despite his illness our future looked rosier than ever. Raymond felt fitter in the last days before he died than before, and he went to the hospital for a check up the day before his death. The blood tests showed an improvement in most of his liver functions. The only drawback was that he felt nauseous in the hospital, but with his sickness we thought it was nothing to worry about. The doctor allowed him to go home. 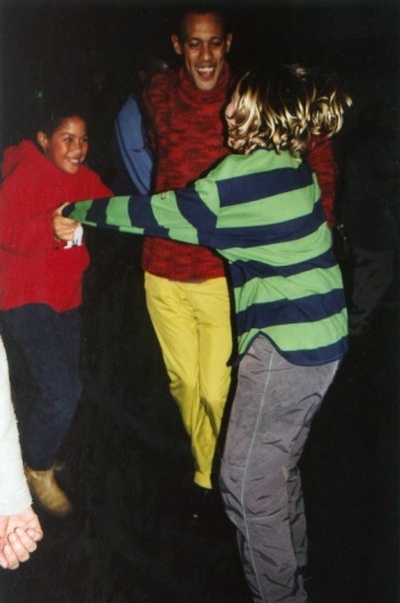 He was very tired and had a performance that evening. I took the rest of the day off from my work to help him as much as possible with the show. With blankets and cushions in the car and an inflatable bed back stage where he could rest. The show cost him a lot of energy, but he made use of the band's experience and it turned out to be a beautiful performance. He slept very badly that night; he was hyperventilating and being ill. I went to work in the morning but I was very concerned. I was sent home to discuss the situation with the doctor. When he heard the symptoms the doctor sent for an ambulance to take him to hospital. After just a few hours in the hospital the doctor told me that all liver functions had stopped and that the situation looked very sombre. Everyone fought for his life with all they had, but it did not help. He died the same evening. An extraordinary and unpredictable end to his sickness. And for me a nightmare from which I've not been able to wake. My first reaction was to get away; with my parents to Zwolle. I asked Piet van Nierop to protect me for a while from telephone calls. Well, that was not possible and most South Africans just phoned. I returned to Amsterdam the next morning where people were waiting on the doorstep! And I phoned Piet to tell him to let the calls through again, the more the better. The house was full every afternoon and evening: talking, singing, dancing, crying, laughing and discussing what had happened a thousand times over. There were flowers everywhere, masses of cards, hundreds of emails. Fulltime processing therapy. A warm blanket. Not only for me, it's unbelievable just how many people were deeply touched by the death of Raymond. The household duties were taken over by friends. Even shopping and cooking was not allowed. I did however ask to be alone at night. In the meantime so many people were busy with the business of organizing matters. I could delegate almost everything which was necessary, because I was exhausted from the emotion and the pressure. The undertaker was flexible in the laying out of Raymond: the standard half hour was stretched to four hours without a problem and we were given a large hall. The beginning of the evening had a suffocating sombreness, far too Dutch! I turned the music up louder, but it did not help. It was as though everyone was waiting for Raymond before the party could start. Luckily Reverend Dube's service was very therapeutical. 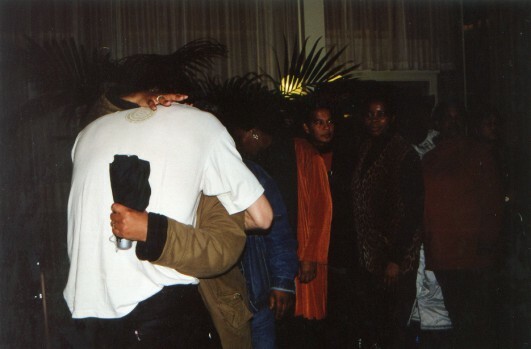 First the intense sadness and the tears of loss, climaxing with everyone crying around the body of Raymond. After that the comforting and the joy of all the beauty that Raymond gave us. The playing of Raymond's CD was the most intense and most beautiful moment for me. The evening ended in a relaxed and pleasant atmosphere after all the emotions. 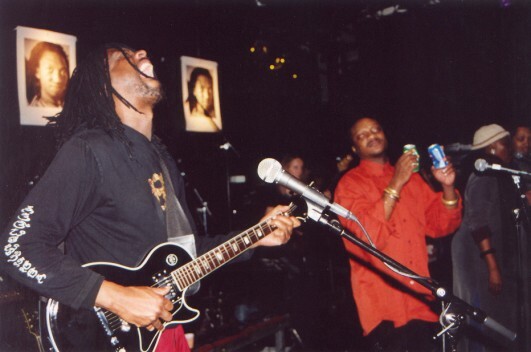 "To celebrate the life of Raymond" was the theme of the memorial service and concert in the Melkweg in Amsterdam. It was truly a party in Raymond's style: intense, warm and with great diversity in the performances. Reverend Ntoane spoke on the basis of a story by Toon Tellegen. The ant: "Do you think that we will ever be finished, squirrel?". A simple question that is too difficult to answer: "What I don't know I can't name." The Afro Vibes Band evoked two contradictory feelings in me: joy because of the beautiful show and sadness because of the emptiness. 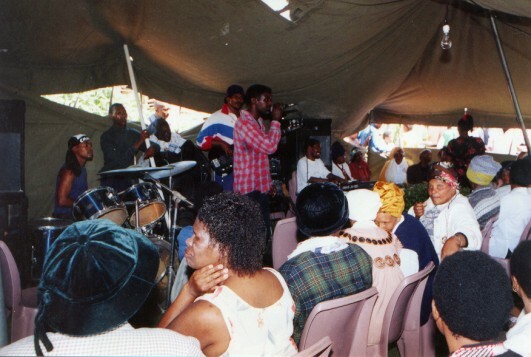 The band had already performed twice without Raymond and the money was used to finance the funeral and to support for the family in South Africa. The request for donations for these two funds got a huge reaction. Not only the funeral costs were covered, but also the building of the family's house in South Africa can now be finished. The afternoon in the Melkweg was organized in only one week and was made possible by the selfless efforts of all the artists - we want to do something, would that be possible? And the many helping hands and the Melkweg. Thank you all for the impressive afternoon. It was the wish of the family that Raymond should be buried in South Africa. I was happy about that, because looking outside on a cold grey November day it would have been unbearable; he belongs in Port Alfred amongst his people in the warm sunshine. 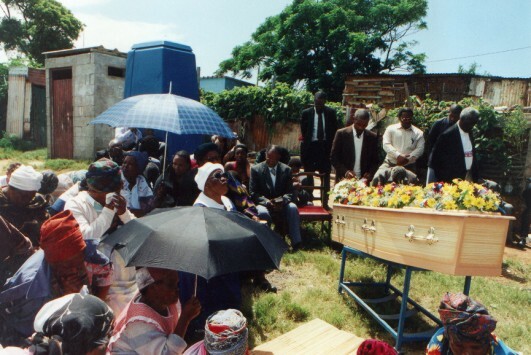 South African Airways offered the free transport of the coffin. A very welcome offer, because it meant a great saving in terms of money. The morning after the Melkweg performance we stood in a group in front of Raymond's door. The hearse arrived, on its way to the airport, and stopped to 'let in his spirit'. Then the coffin left on a freight flight to Johannesburg from where we would fly on with it to Port Elizabeth. The last flight was very heavy. I had such good memories of our flights together and this was the last one. In Port Elizabeth a very emotional moment followed: the meeting with Lillian, Raymond's mother and his family. It was not made easier when we was discovered that the coffin had not arrived with us. Something had gone wrong with the freight in Nigeria. 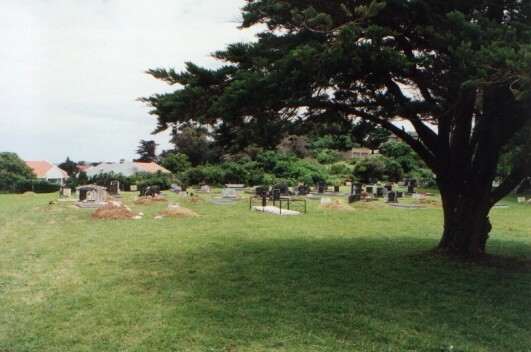 We decided to carry on to Port Alfred because it was obvious that the coffin would not arrive that day. We heard later in the day that a Boeing 747 had crashed and had burned out, only the cockpit was intact and most of the crew seemed to have survived, the rest of the aeroplane was destroyed. It was especially difficult for Lillian. It was much easier for all of us from Holland because we had already been able to say goodbye to Raymond, but for the family here everything was so far away. Now we could only wait and hope that the remains of Raymond would be found. 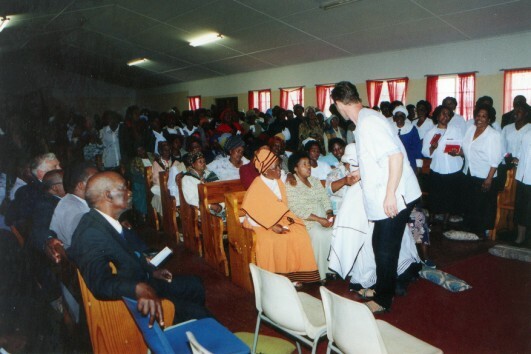 We decided to go ahead with the service because of all the people who had come to Port Alfred. The remains of Raymond were found a few days later. 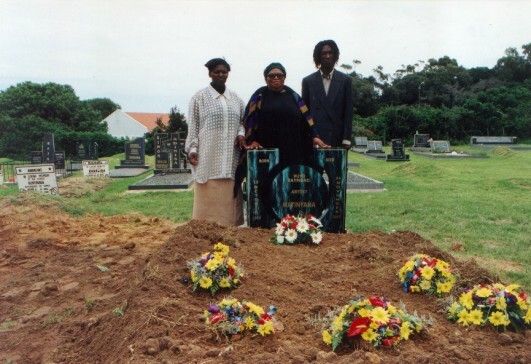 The inside of a coffin is lined with zinc for international transport and the ashes from the coffin were gathered and put into a small box for transport to Port Elizabeth. This would arrive a day too late for the service, so that the funeral would not take place on the day of the service which is unusual. A goat, a sheep and a cow were slaughtered in the days preceding the memorial service. Shopping was in large quantities: 12,5kg sugar and flour, all stored in a huge tent. The day itself began with a service in Raymond's church. Packed full. Naturally with singing and dancing and with a bellowing sermon of which I understood nothing. Why did I never manage to learn Xhosa? A number of speakers recollected memories and I was asked to describe the course of his sickness. A lot of importance was attached to the exact reason of his death. It was not an easy task, but I think I managed quite well. On request of Raymond's mother the service lasted a couple of hours instead of a whole day. In the meantime a meal was being prepared for everyone at home. The house, tent and garden were completely full. The local township band played with various soloist guests. The special Raymond atmosphere was recreated. The little box with Raymond's ashes arrived the next day at the airport. While I was away for a short while there was a telephone call to say that the flight was early and a car had left the airport without me. When I heard that I felt deeply unhappy and I went after them. I wanted to pick him up myself. And then to drive back to Port Alfred with Raymond's brother and Raymond's sister and with a box with Raymond's ashes on your lap. A bizarre experience. To be safe we waited to cry until we were out of Port Elizabeth. Warm memories of all the trips to performances came back. A large group had assembled at the undertaker for the arrival. Everyone stood in a sort of line of honour singing on both sides of the path where Raymond's sister, followed by the others, brought the little coffin inside. Everyone prayed and cried. The funeral took place the day after. A tombstone had been chosen a few days before with a place in the cemetery and the grave had been dug by friends. The tiny box was put into a normal coffin just before the funeral and was taken to the house. 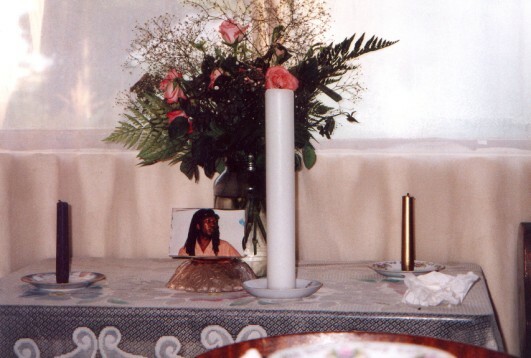 The coffin was put out in the garden and decorated with flowers from the South African Embassy in the Netherlands. A service was held in the garden, after which we drove in a row to the cemetery. I found the fact that we did all the manual work ourselves very helpful: we carried the coffin ourselves, we shovelled the grave closed ourselves. It made it all less distant and depressing. To dig until you are sweating can do you good on such an occasion and even creates a kind of bond with the grave. It was striking that here it's the custom to throw a layer of cement in halfway, as a sort of insurance that the coffin will be left to rest in peace. The covering of the grave took place later, we were now busy with the unveiling of the stone and laying flowers on the ground. It was all in all a beautiful ceremony. It was not too emotional for me. No tears today. I think it had lasted long enough and it was now time to close it all off. Most guests had to leave, but there was still a lot of work waiting in Port Alfred for the Foundation and I wanted to spend a quieter time with the family. I stayed a week longer for that reason. The weather alternated between glorious warm summer weather and refreshing weather with rain and thunder clouds. The nature is lush and green here this year. Silver herons and spoonbills a few hundred metres from the house. Beautiful sandy beaches within walking distance with the most exquisite shifting dunes you can imagine. A wonderfully rough sea. I used the time as a sort of holiday, with talks about possible Afro Vibes projects, meeting students, some organizing work, shopping and I also took the opportunity to get to know the family a bit better. The week flew by and it was time to return to Holland. It was difficult to say goodbye and leave Raymond. It was time to find a way of getting back to normal life once again, not only for me but for the family. The aeroplane was not full and I took advantage of not only a window seat, but also two empty seats next to me, so I could lie down. My parents had left early to wait for me at Schiphol. We had looked at the video we made during the past week. I was back only an hour in Holland when I received a telephone call from South African Airways that they had found more remains of Raymond. They offered me a ticket and tried to get me on a flight to Nigeria to see where the aeroplane had crashed and to transport the remains of Raymond myself to Port Alfred. I got news from SAA the next day that it was not possible to organize a ticket to Nigeria, it was cargo ticket from another company. But there was a ticket to fly back to Port Elizabeth the same afternoon. Hardly a day after my arrival in Amsterdam I was back in the aeroplane to South Africa. The haste of SAA to get me back to South Africa was not really necessary. It seemed we would have to wait a few days before the coffin from Nigeria arrived in South Africa. And days became weeks. Delay after delay. First the aeroplane could not leave Nigeria because there was no fuel at the airport. Then the papers were not in order. Then the body was in a state in which it was not allowed to be transported. It didn't make much difference to me, but it was becoming more and more unbearable for the family. Finally the body of Raymond was released about one and a half months after his death. In the meantime our days were filled with beach diversions: swimming, stunt flying and sliding down the dunes on a piece of hardboard at high speed. And shopping. It was shocking to see how thrilled the children were with a few cheap new clothes for Christmas. And shocking to realize that if you buy a boy a pair of cheap sports shoes, you are spending the equivalent of his mother's monthly salary. Take it from me, that there is only one form of entertainment in the township - alcohol - and it's obvious how hopeless the situation is here. I have seen with my own eyes that the only way out of this misery is a good education. I understand more than ever now why Raymond set up the Afro Vibes Foundation and the Scholarship Project. If we want to continue Raymond's ideals, then the way to do it is to carry on with this project. We renamed it the Raymond Matinyana Fund and ask everyone to donate. Back to the transport of Raymond's body. This time it was not a small box that was handed over in Port Elizabeth but a real coffin with the real body of Raymond. Raymond's body was thrown out of the coffin when the aeroplane crashed and was hidden under pieces of the wreck. The ash from the metal coffin was therefore not Raymonds. Because the first coffin had been blessed, it was decided to leave it in the grave and place the new coffin next to it. A group from Johannesburg had decided to drive 1000 km down to Port Alfred again for the second funeral, but as if it was not enough, they had an accident. Luckily it did not seem to be too serious and everyone was discharged from the hospital after one day. The funeral was once again a short service at home, the funeral itself at the cemetery of course, and afterwards we talked at home with sandwiches and juice. For most of us it's a relief to know that it's really Raymond lying in the grave. In the afternoon we went to the beach for 'after tears' and had a braai and swim. It was a good way to close a very bizarre period of one and a half months. I flew back to the Netherlands at the beginning of the new year. I must now find the courage and energy to build up a new life without Raymond. It will be some time before the beautiful memories replace the emptiness. The disappointment that it is all over, just when everything seemed to be taking off musically for Raymond. Not only the band but also the Foundation. What enormous support I got in this difficult time! There are so many people who have shown that Raymond was a very special person in their lives. And there are so many people who want to support and continue Raymond's work. I think that the best we can do to honour Raymond, is to continue what Raymond started, as volunteer and/or donor; to support students and projects in South Africa, especially in his township, and to promote the cultural exchange between South Africa and the Netherlands. If this appeals to you let us know. Let's keep Raymond's ideals alive! I also hope that we will manage to finish making Raymond's CD. It will still take a lot of time and effort. But if we succeed, I think we will have the most valuable memory of Raymond possible.